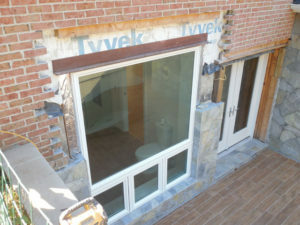 Cutting Out A Brick Wall To Install A Window is one Fairfax Contractor claim to fame. Fairfax Contractor can cut out a brick wall to install a new window where none exists in a brick wall in your home. 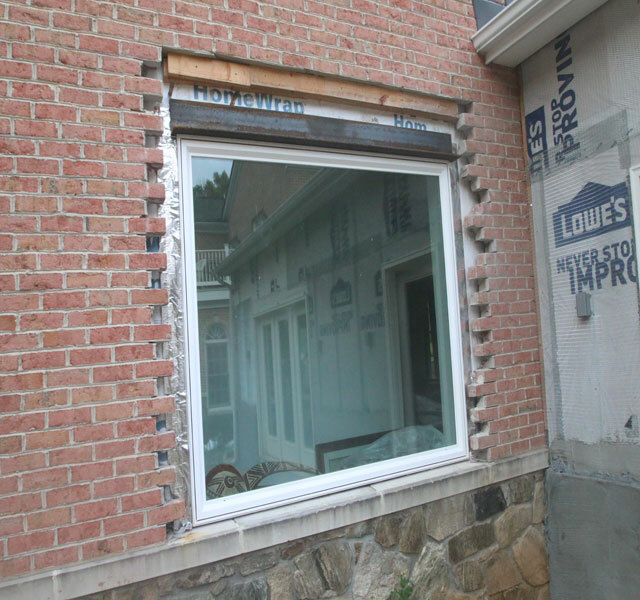 Sure, there are many window replacement contractors in Northern Virginia, but how many can cut out a brick wall in your home and install a new window where one does not exist? The answer is not many, here at Fairfax Contractor we have the masons and window installers that work as a team to do just that. Do you want to add another window to your room to let in natural light? Are you intimidated by the task of cutting into a brick wall to get a new window? You can hire Fairfax Contractor in Northern Virginia to get a new window installed in a brick, or even a sided section of your Northern Virginia Home. This job should be performed with a DPOR Class A contractor that displays an RBC (Residential Building Contractor) Fairfax Contractor can cut out a brick wall to install a new window. There is no need to panic. You can hire Fairfax Contractor in Northern Virginia to get this job done for less than you might imagine. We can help you to find the matching brick and mortar to close in your window. Fairfax Contractor also recommend a replacement window that will match the current windows in your home. 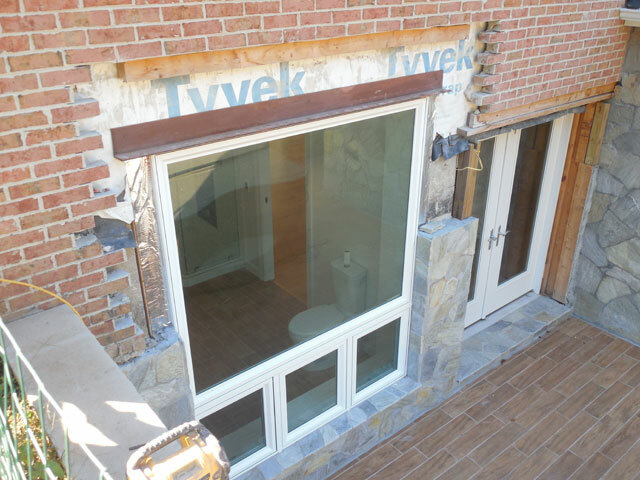 The first step Fairfax Contractor uses in cutting out brick wall for a window involves installation of a steel lintel just above the hole you want to make in the wall for your new window. Fairfax Contractor will cut the brick in the wall using an angle grinder. The mortar layer between the bricks needs to be penetrated with the grinder, chisel, and hammer. After the brick is removed we will install a steel lintel into the gap to suport the load above the winow or door.We will be careful not only to match the but also the mortar joint. The angle grinder once again needs to be used for cutting into the outline drawn on the wall. We do not need to push too hard because the tool works efficiently. It is advisable to wear that our master masons use a dust mask because of the excessive dust which is generated while cutting into the brick wall. After we cut into the wall along the outline, you need to dislodge the bricks by cutting into the mortar. The mortar loosens quickly because it is softer in texture than bricks. When holes are drilled into the mortar, the bricks automatically come off without much effort. We then create what is called a tiger tooth pattern, here as one ouse of the cut is left intact and the second is cut back one brick. giving the brick oping a tiger tooth look. The 4th step is to take out the bricks from the window oppening, in case all of the bricks do not come out, we will take an angel grinder and clean out the opening. Knocking out bricks is possible with a hammer and chisel. Fairfax Contractor will be careful while hitting around the edges of the hole so that the other bricks which are not supposed to be moved remain intact. Once the exact opening for your new window is created we will mortar in the steel lentil that supports the load above the cut out. I your Northern Virginia home was built before the early 1960’ it may be constructed as a pure masonry wall, were as we will need to install 2 steel lintels to support the window opining: one for the 8”x 4”x 16” cinder block and the other to support the face brick. If your home is less than 35 years old we will sport the load for the new window with lumber. At any rate we will pull the County required building permits to assure you the project is code compliant. Final Step To Finish Your Window Cut In A Brick Wall. The Final step to complete a successful opening in a brick wall to install a window in to use the brick remove or new brick to close in the lentil, tiger notches, and build the window sill. We can also install the interior insulation, drywall and paint. Once the window opening is ready for the insulation of the new window our experienced carpentry crews can install the brick molding, and interior trim. Once, all winnow trim is installed, we will give it a final coat of paint and get a final inspection form the county. Fairfax Contractor can cut brick walls and install windows in the Northern Virginia Counties including Arlington County, Fairfax County, Loudoun County, and Prince William County VA. We also do remodeling projects in the following Fairfax Country cities including Alexandria, Annandale, Burke, Clifton, Centreville, Chantilly, Fairfax, Fairfax City, Fairfax Station, Falls Church, Great Falls, Herndon, Kingstown, Langley, Lake Barcroft, Lorton, McLean, Newington, North Springfield, Oakton, Oak Hill, Reston, Springfield, Sterling, Tyson’s Corner, and the Vienna, Virginia. Fairfax Contractor also is licensed to do work in Arlington County, including the cities of Arlington Forest, Ballston Crossings, Cherrydale, Claremont, Rivercrest, Westover, and Yorktown, Virginia. In Loudoun County, we install all types of home improvement projects in the cities of Ashburn, Aldie, Bristow, Dulles, Countryside, Lansdowne, Leesburg, Purcellville, Potomac Falls, South Riding, and Stone Ridge Virginia. And finally, we work in the cities of, Prince William County, including Dumfries, Dale City, Gainesville, Haymarket, Lake Manassas, Lake Ridge, Manassas, Manassas Park, Occoquan, Triangle, York Shire, and Woodbridge.